Laura LaPalme, Author at Payne Transportation Ltd.
Payne Transportation Ltd. was presented with the North American Occupational Safety and Health (NAOSH) Award for Best New Entry for their activities during NAOSH week May 7-13, 2017. 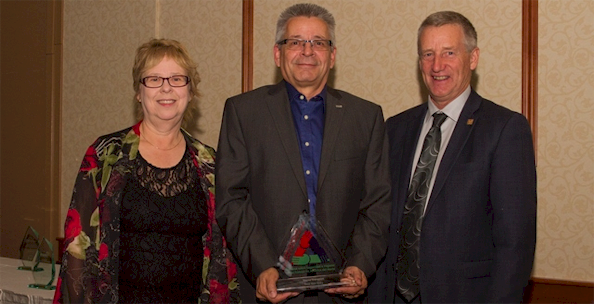 Judy Murphy, President and CEO of Safety Services Manitoba (the award sponsor), presented the trophy to Peter Bonneville, Director of Safety for Payne Transportation Ltd. at the SAFETYS gala on Wednesday, September 27 at the Victoria Inn Hotel in Winnipeg. “Payne Transportation Ltd. had activities planned for each day during NAOSH Week. Events included participating in Steps for Life, sponsoring the official NAOSH Week Winnipeg launch, providing on-site fire extinguisher training, and holding a fire drill. Payne also partnered with the staff at the Manitoba Trucking Association and organized a blood donation drive to support those who needed blood as a result of a workplace injury” stated Murphy during her presentation. “To finish their action-packed week, they had their staff write down why they make safety a habit on a card, and produced a video montage of all the responses. They accomplished all this in their first year of participation in NAOSH Week!” she added. 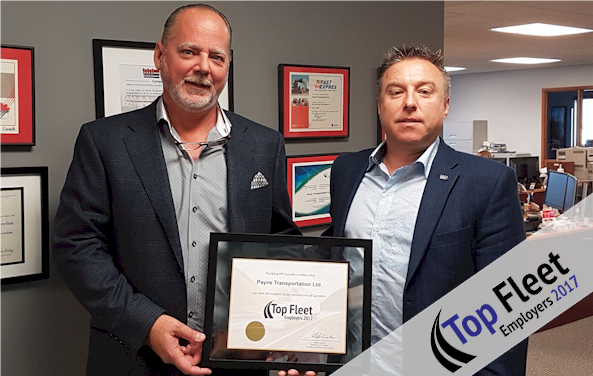 Payne Transportation Ltd. named a Top Fleet Employer! 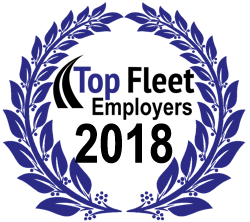 Top Fleet Employers is a national program which recognizes the importance of having sound HR policies and practices in the trucking industry. It distinguishes fleets that offer the best workplaces in Canada’s trucking industry, as reflected in the broad range of human resources policies and programs that they have in place. Fleet employers self-nominate and participate in a rigorous three-part review of their human resources policies and programs. The review includes the completion of a comprehensive online application that is supported by a hard-copy submission, a Trucking HR Canada survey of the company’s employees and follow-up discussions with the company. The review assesses the scope of an employer’s formal HR policies and programs in four key categories: Basics, Respect, Training and Family. We take great pride in creating a work environment and culture that fosters success, and we are honored to be noted for our outstanding workplace practices and standards. Congratulations to everyone at Payne Transportation Ltd. for the role you play in our overall success! 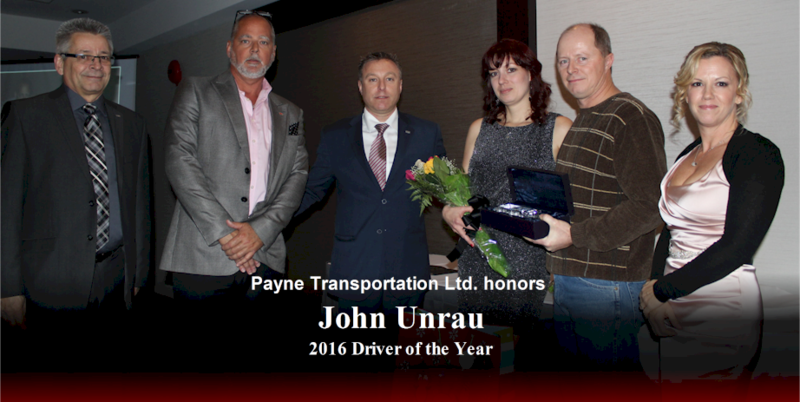 Click here to view the full release from Trucking HR Canada..
Payne Transportation employees open their hearts and wallets for local charity at annual awards gala. At the end of November each year, Payne Transportation celebrates its annual awards gala dinner and dance. 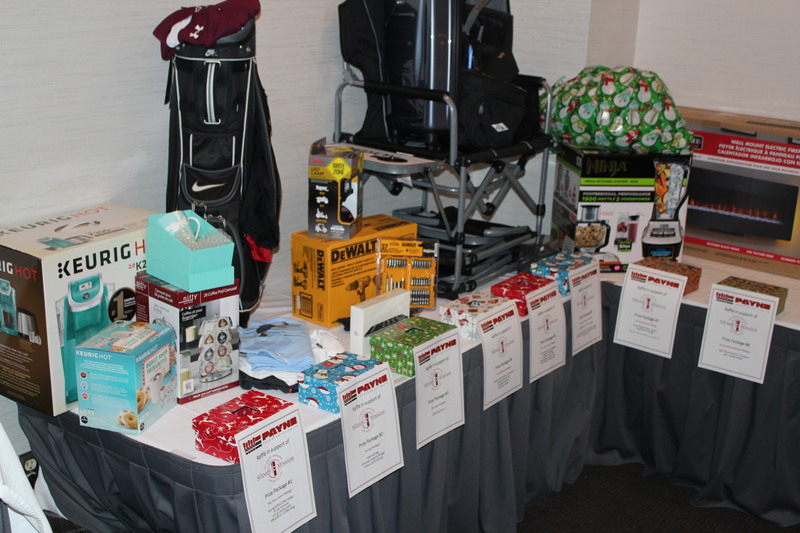 For the past three years, the gala celebrations included a prize auction to support a local Winnipeg organization called Siloam Mission. Siloam Mission provides meals, clothing, and hope services to Winnipeg’s impoverished and homeless. Prizes ranged from gift cards to hockey tickets to a big screen TV and many of the items were donated by Payne’s customers and suppliers. This year’s event raised $2500, bringing total donations to just over $7500 in the past three years. Tom Payne, President states “We believe in the positive results that come from being a good corporate citizen and supporting local charities is something we have always done and will continue to do”. The funds raised from this year’s gala will be presented to Siloam Mission later this week. Payne Transportation LP Joins the Trucks for Change Network. Payne Transportation LP is now a member of the Trucks for Change Network, a non-profit group of leading highway carriers from across Canada who actively support their communities with in-kind transportation services and charitable activities. As a Trucks for Change Network member, Payne Transportation will be able to contribute by matching available truck capacity with the freight needs of charitable organizations ranging from Food Banks Canada, Habitat for Humanity Canada, Canadian Red Cross, and many others. For more information about Trucks for Change Network visit http://trucksforchange.org/.